The ribbon is officially cut for Red Sandstone Elementary School Wednesday in Vail. The ribbon was the last cut for the bond referendum. The ribbon was cut Wednesday afternoon on the new Red Sandstone Elementary School. As Principal Marcie Laidman conducted tours while walking backward and smiling broadly as tour guides do, she backed into the school’s new library. Looking past Laidman and out the massive south-facing windows, the crowd took in a panoramic view of Vail Mountain. 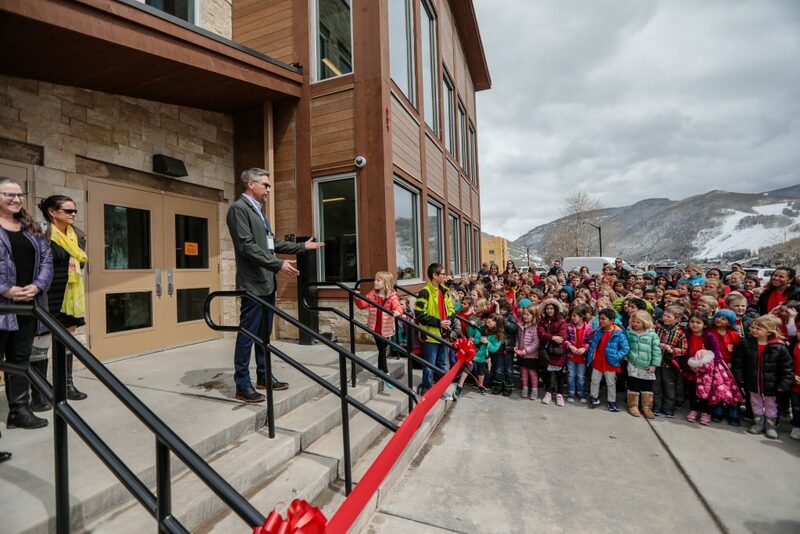 Wednesday’s Red Sandstone ribbon cutting is 12th and final ribbon cutting or groundbreaking in two years since Eagle County voters increased their taxes to build and renovate school buildings up and down the valley. It began April 17, 2017, when the school board hauled out the gold shovels and broke ground under bright sunshine and a crystal blue sky, launching the building blitz with early childhood space at Gypsum’s Red Hill Elementary. It ended just less than two years later with Wednesday’s Red Sandstone ribbon-cutting ceremony. Diego Romero and Linden Ricci did the honors. Romero’s mom attended Red Sandstone. Ricci’s family has been associated with the school practically since it was built 40 years ago. And here’s the thing: All that construction was supposed to take three years, but the district compacted it into two. That saved taxpayers millions of dollars. We’ll explain how in a couple paragraphs. The new Red Sandstone building replaces one of the oldest school buildings in the eastern end of the valley. 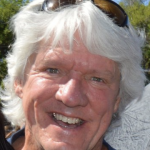 Dean Koll, with Koll Consulting, has been working locally for 38 years. Koll worked with RLH Engineering to push Red Sandstone through Vail’s approval process and help handle the project’s myriad challenges. The $8.6-million “renovation” got down to pretty much the concrete slab and a couple of walls, and it finished at $14 million. As demolition and construction began, crews found more asbestos than was thought possible. Workers in hazmat-style suits carried asbestos-infested drywall to dumpsters wrapped to keep asbestos from floating away. New Eagle County Schools superintendent Phil Qualman speaks at the Red Sandstone Elementary School ribbon cutting Wednesday in Vail. A parking structure was also added across from the school. They found light-gauge studs 24 inches on center. But the best might be the waterline. It was installed before Interstate 70 … 24 feet in the ground instead of 8 feet as it’s supposed to be. They found all that, but not the time capsule that Red Sandstone’s original students buried in the school’s front yard. The current students created their own time capsule. Meanwhile, Red Sandstone students, staff and teachers are thrilled after spending a character-building year at Camp Minturn, a collection of modular classrooms (trailers) in Minturn’s Maloit Park behind the Vail Ski & Snowboard Academy building. Moving from Camp Minturn into their new building is like moving from a trailer to the Taj Mahal. At Camp Minturn they dealt with a gas leak, leaking roofs, smoke in one classroom that forced an evacuation, occasional sewer problems and a 10-minute walk to the buses because the snow was piled so high that buses couldn’t get back there. Still, lots of learning happened at Camp Minturn. Kate Cocchiarella, the board president of Eagle County Schools, credited the school district staff, Haselden Construction and the taxpayers. 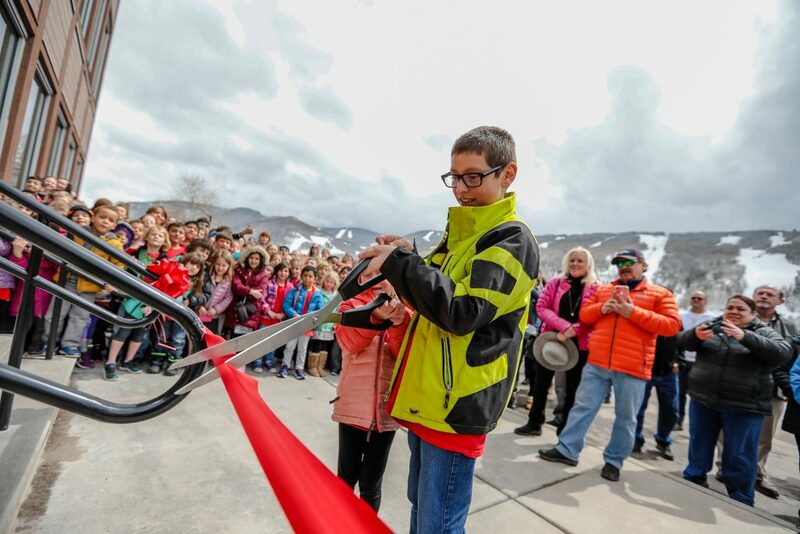 To get Red Sandstone and the parking structure under it built, the school district collaborated with the town of Vail, the Vail Recreation District and Vail Resorts. The district sold $131,770,000 in bonds ($230 million with interest) to pay for a dozen and a half construction and renovation projects up and down the valley. Because district officials waited a few days for an upward bump in the bond market, the late-2016 bond sales generated an additional $22,332,115. That money was also spent on school projects. That means that the school district had $154,102,115 to spend, more than $10 million above the $144 million Eagle County voters thought they were going to have. Add another $14 million from Vail for the parking structure under Red Sandstone Elementary School and voters got $168 million. Because Haselden Construction managed to get the work contracted and underway before inflation in both labor and materials whacked the construction industry, it made the money go even further, RLH’s Jeff Chamberlin said. It also helped that after Eagle County’s body politic gave the school district the thumbs up in November 2016, Tab Associates architects had plans in place so crews were ready to begin construction by June 2017 when school was done for the year. There are still a few things to wrap up, Cocchiarella said — some new roofs, landscaping, other projects and some work on the VSSA building — but Wednesday’s Red Sandstone ribbon-cutting concludes the big stuff. “And it all started because voters said yes,” Chamberlin said.